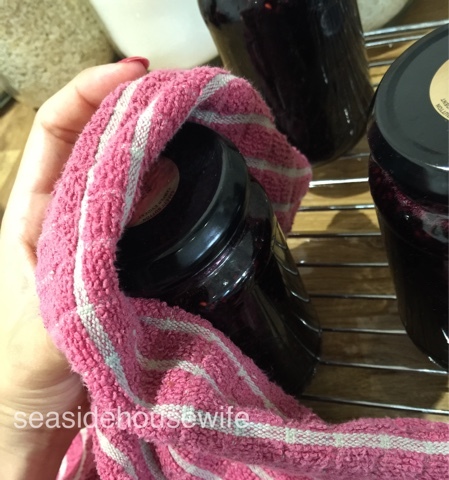 This is a quick easy way of jarring up your jams, jellies and chutneys. Please note this way will not preserve the contents, you need to make sure what you are putting in the jars will keep for the length of time you require. First, wash your jars. I wash them on a high dishwasher cycle. I also soak and remove all the labels. 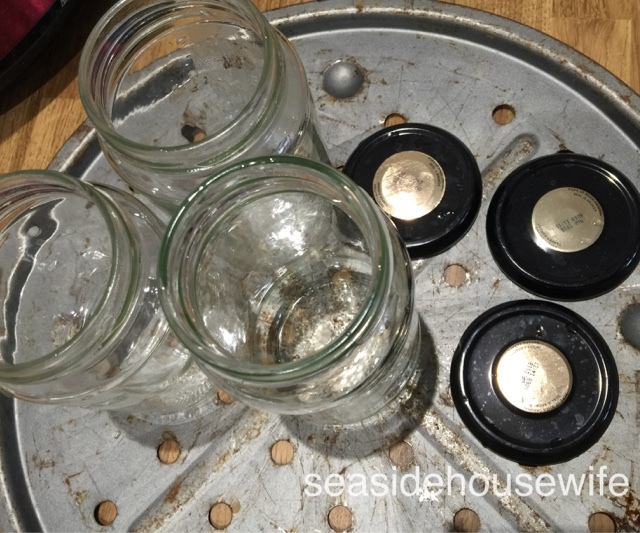 On the most part you won't need how many jars you will need till you have finished making what ever it is your putting in them. So always have a few extra ready to go! 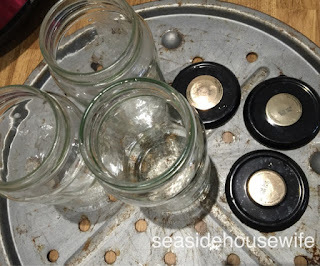 Now you will need the contents of the jars to be hot/warm when you fill them. As they cool they will pull down the lid and seal the jar. 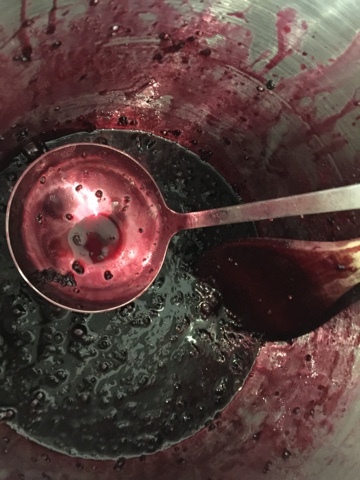 Keep this in mind, as you will need to time making your jam etc to be ready to jar straight up! I use an old pizza tray to pop the jars and lids on. I found a deep tray just led to problems! I use a large ladle, to spoon the mixture into the jars. 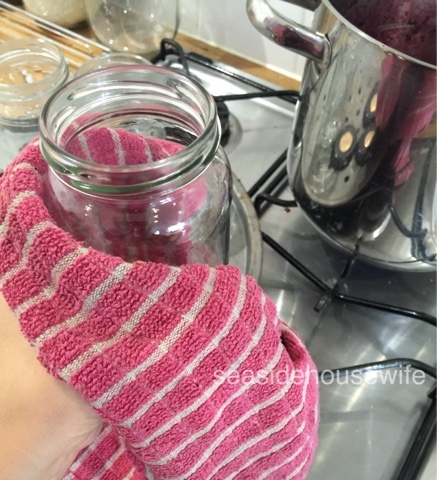 When you are ready to jar up remove your jars from the oven, they need to have heated right through. A good 15mins to have heated up too 100c. Do not go over this. 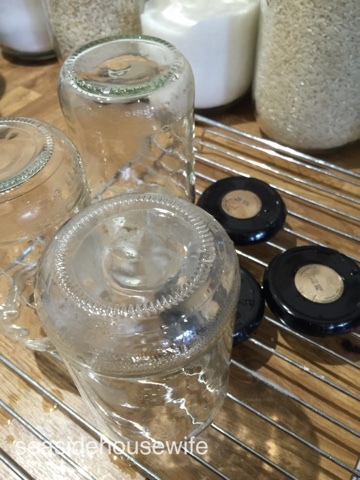 Remember the lids, tray and jar will be very hot. 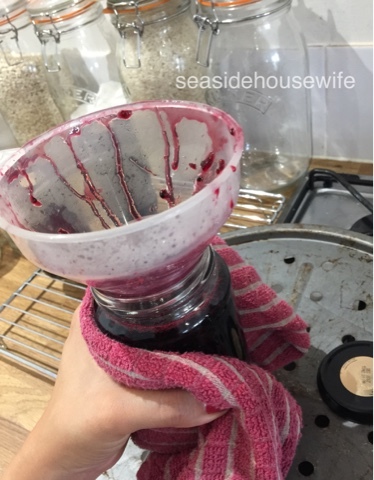 Be very careful when ladling in the mixture as the jar or funnel could move. Leave about 1-2cm gap between the mixture and lid. There are two different ways to pop on the lid. Some people leave them half on and tighten later or you can do as I do and go as tight as possible straight away. Insure you don't try and tighten without a teatowel or other proctection. As the jar with hot mixer in side will be very, very hot to touch and most likely burn you! I keep the oven on while am jarring up, in case I have not got the right amount of jars for the job. Then I can grab my spare jars and pop them in the oven. 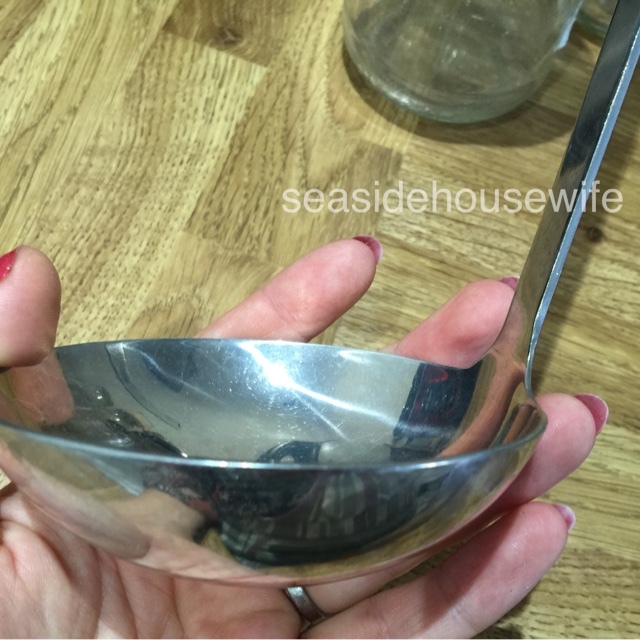 It's best to start with more than you think you will need as extra cooking time could mess up your mixture! Am quite silly, I love hearing the pops! 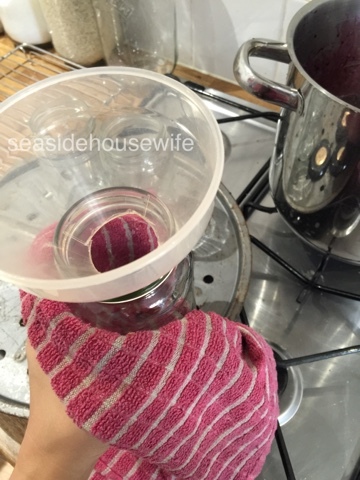 This way insures the jars are sterilised before use, it's my favourite way to jar up! 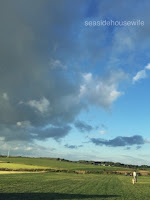 Keep an eye out for my blog about label making coming soon. 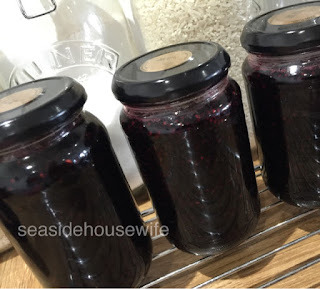 Click here for my yummy Wild Blackberry Jam!